Paul Revere’s bell hangs in the tower above the 18th-century First Congregational Church in Essex, Massachusetts. Nearby, the 82-ton Evelina M. Goulart — an original, Essex-built schooner from 1927 — looms as a decayed apparition in the yard of the Essex Shipbuilding Museum. The wonder that surrounds them both makes it easy to miss the H.A. Burnham shipbuilding yard altogether. Tucked along a residential lane, the yard is a peaceful place that tumbles down a slope to the water’s edge. Finding it feels a bit like stumbling upon a junkyard: In addition to piles of live-edge lumber, there’s a rusted fuel tank loaded with wood scraps, mooring balls, truck tires, cement blocks and foam bedding. The giveaways that this is the right spot are the sawmill and a pile of logs at the top of the slope. Water, wood and marsh muffle the sounds of hammering amid several wooden boats on jackstands. “The yard is in full splendor right now,” yard owner Harold Burnham says with a deadpan tone. Isabella at Harold Burnham’s yard in Essex, Massachusetts. 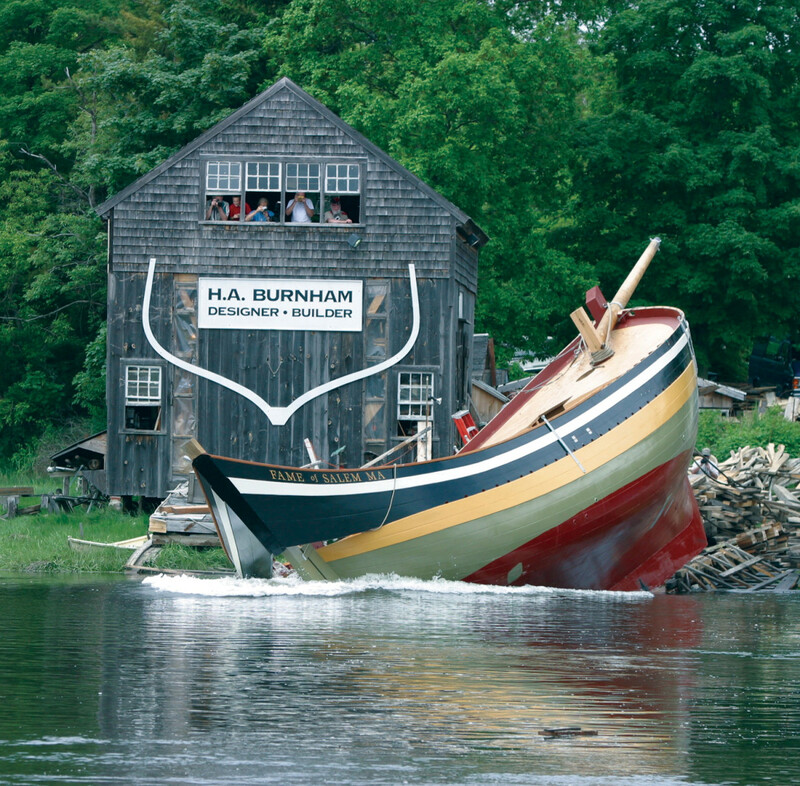 Burnham is descended from generations of shipbuilders. Wearing Carhartt pants, a blue flannel shirt and black deck shoes — all begrimed with an honest life’s hard work — Burnham gives opposing impressions. One is of a person more comfortable with lumber than people, but who has learned to soliloquize for the public’s benefit. The other is a man of quiet humor, one with much-expressed appreciation for everything in his life, from culture and community to friends and mentors. He launches into the latter, talking about Essex, a topic that deeply engages him as a boatbuilder and a descendant of the area’s first settlers. Burnham and his son Alden are restoring Maria, a Friendship sloop built by Burnham’s father in the 1970s and named after his mother. 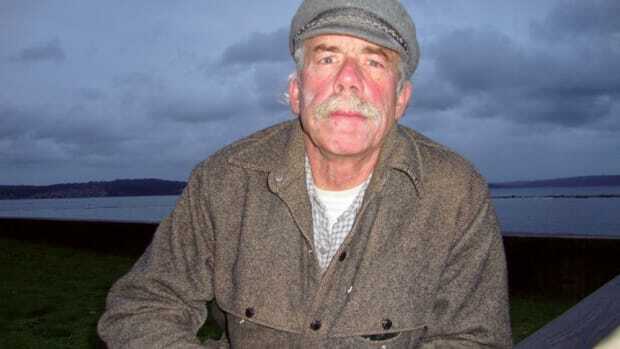 Burnham is a master shipwright, designer, mariner and National Endowment for the Arts National Heritage Fellow. He grew up watching his father and mentors such as Brad Story, another descendant of an enduring Essex boatbuilding family, and spent time studying old drawings, documents, photographs and boats, and interviewing older residents. 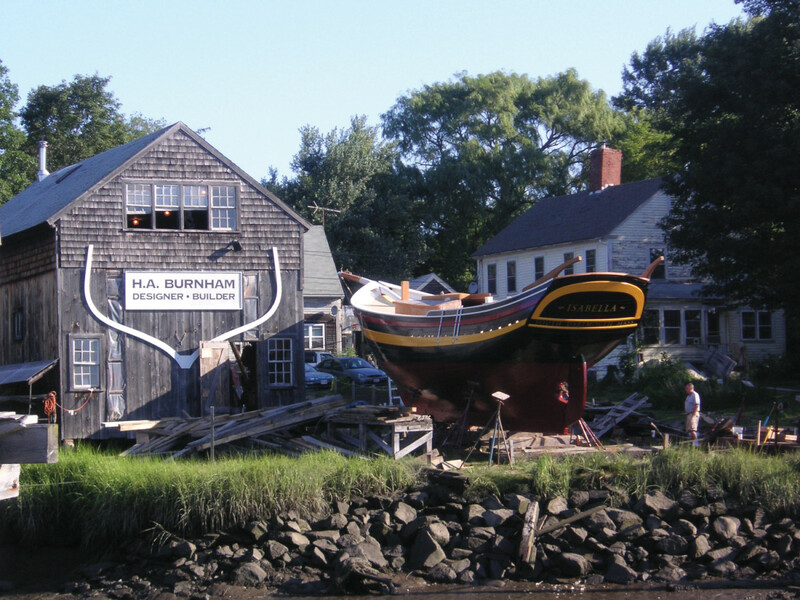 Today, Burnham is deeply knowledgeable about traditional boatbuilding, the sort that made Essex famous as the provider of ships to the great fishing community of neighboring Gloucester. 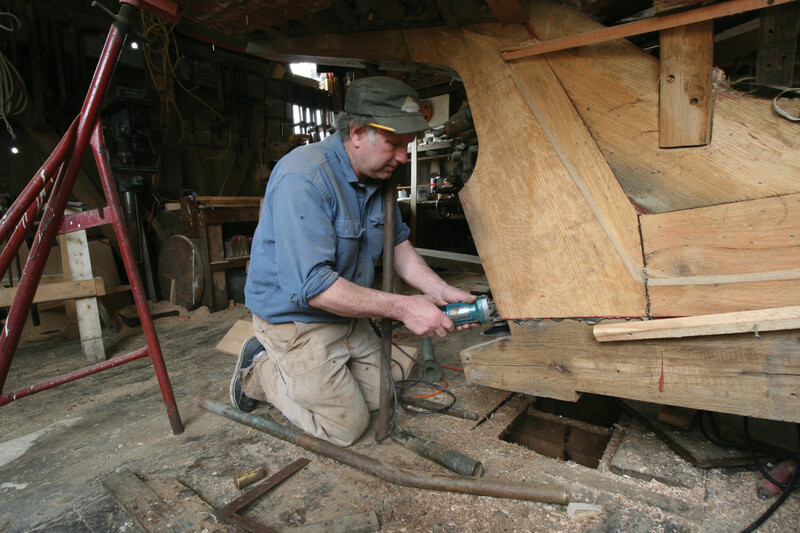 Burnham’s is said to be the only shipyard in the country that regularly designs and builds vessels derived from that historic period, using the techniques of sawn frames and trunnel fastenings that harken back a hundred years or more. Since 1990, he’s built six wooden schooners, restored many wooden boats and consulted on historic boat restorations, including one underway in Boothbay Harbor, Maine, of the Essex-built schooner Ernestina-Morrissey. She was built in 1894 as a Grand Banks fishing schooner and today serves as the official tall ship of the Commonwealth of Massachusetts. 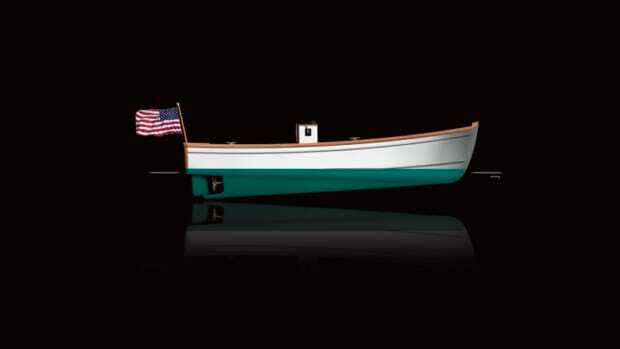 Burnham designs and builds boats the old-fashioned way, with every part coming from his shop: lumber milling, metalwork, rig and sails. Burnham is a master shipwright, designer, mariner and a National Endowment for the Arts National Heritage Fellow. The industry faded after World War II, as fish stocks fell and steel and fiberglass came in. The Burnham family’s yard (the land and house belong to others in the family, the boatbuilding shops to Burnham) has been in the family since the early 1800s. Burnham earned a degree in maritime transportation from the Massachusetts Maritime Academy, then spent six years in the Merchant Marine. Returning home in the early ‘90s, he married, began a family and started operations, building himself a 22-foot sloop named Kim to take passengers on lobster charters. In 1996, he received his first major commission: construction of the 65-foot Thomas E. Lannon. As it happens, the man who commissioned the Lannon, Tom Ellis, pulls into Burnham’s driveway. 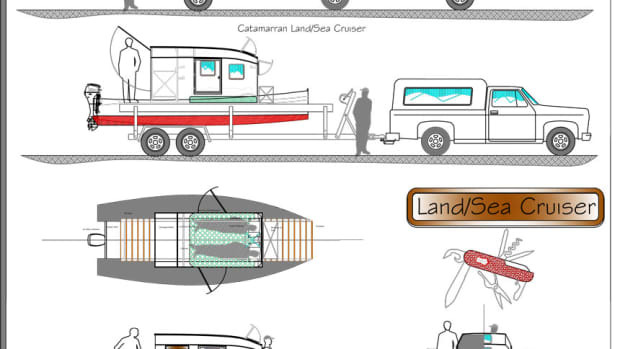 Burnham becomes friends with his customers and lets folks use his yard, so Ellis is building a houseboat here. How did Ellis hook up with Burnham on the Lannon? “Just lucky,” Ellis says with a laugh. Other commissions followed. 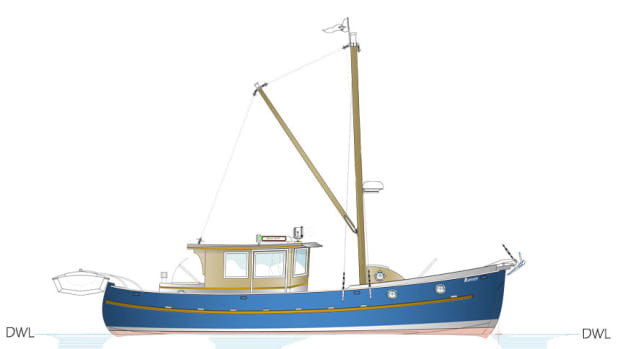 In 1998, Burnham built the Essex Shipbuilding Museum’s flagship, the 30-foot Lewis H. Story, a re- creation of a Colonial-era workboat called a Chebacco, which preceded the grand fishing schooners. 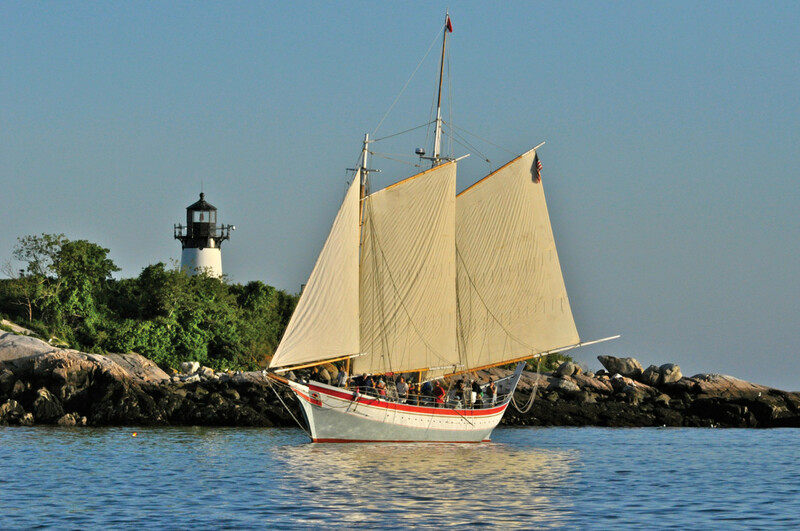 Burnham built the “pinky” schooner Ardelle during a slow period, using recycled lumber and volunteer labor. She works as a tour boat in Gloucester, Massachusetts. 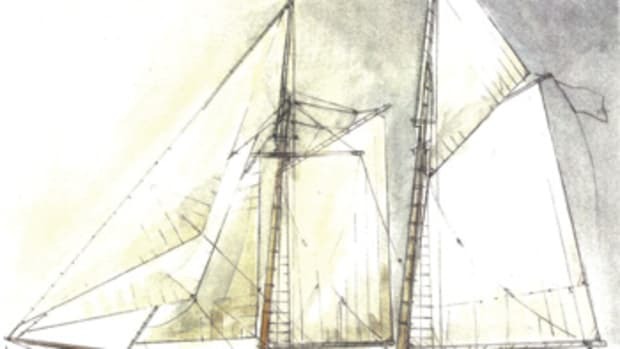 Then Burnham built a 50-foot replica of a privateer schooner from the War of 1812, the Fame of Salem, now chartering out of Salem, Massachusetts. Fame launched in 2003, attracting 2,000 spectators. In 2006, Burnham launched the 38-foot Isabella, a two-masted fishing schooner that’s in private hands. After that, Burnham continued to gather wood for the next commission, but it didn’t come. 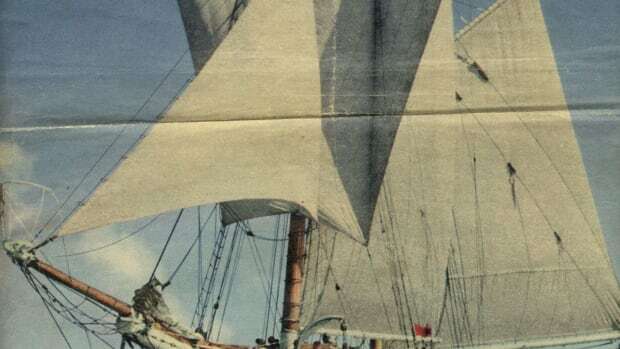 So he built a two-masted, 58-foot “pinky” fishing schooner named Ardelle for himself, for use as a tour boat, operating during the summers out of Gloucester. 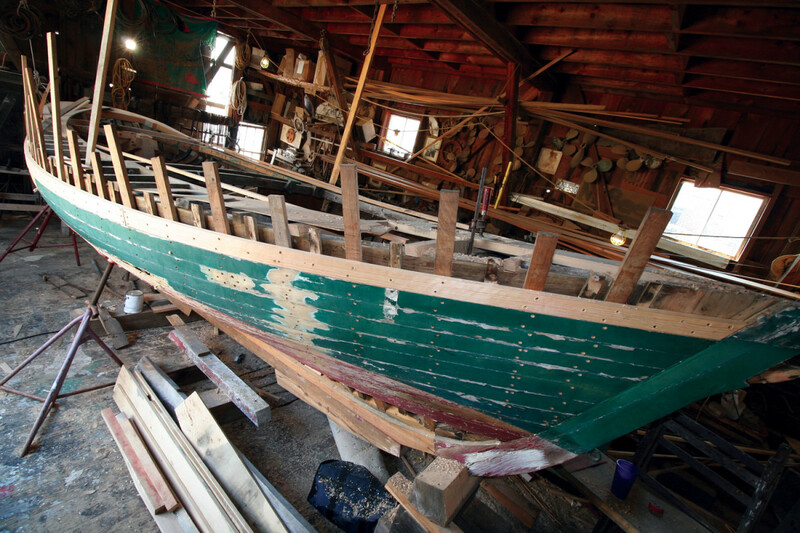 Over the years, he’s also worked on the restoration of the 122-foot schooner Adventure, a national historic landmark built in 1926 in Essex and operating out of Gloucester, and dozens of other wooden boats, from lobster boats to yachts. Last September, Alden received an apprenticeship grant from the Massachusetts Cultural Council for the project. “So I’m working with the master, which is my dad,” he says. Fame of Salem was built by Burnham and launched in 2003. A 1955 Bud McIntosh-built schooner, Bald Eagle, is here for repairs. Geoff Deckebach is hand-planing planks, and Henry Szostek is installing new blades in the power planer. Szostek doesn’t work for Burnham, but he got a nice gift of oak from him to build a pedal-powered peapod, so he’s returning the favor. 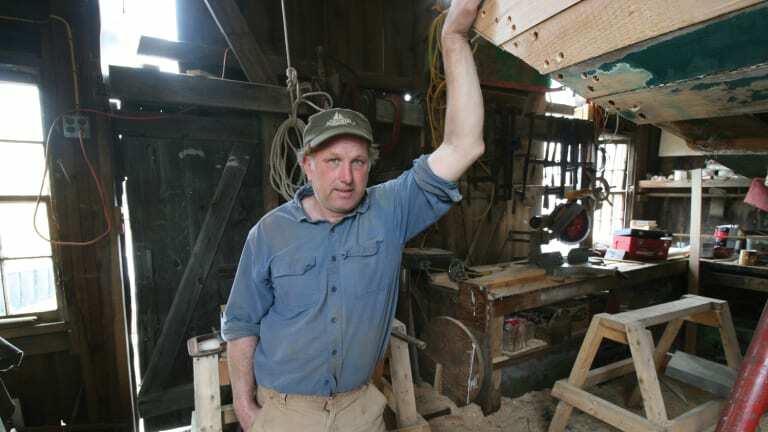 Burnham says his most important piece of equipment is the sawmill. White oak and white pine logs are stacked alongside. One white pine is 3 feet in diameter and probably 125 years old. White pine carves easily, finishes nicely and resists rot. Most of it grows in eastern Massachusetts. This log will yield 800 board feet of material, enough to plank the Maria. He leads the way down the slope to sheds where he dries the planks. “When I have this shed filled with oak so that you can’t put your hand in it, I have all the planking I need to build a 60-foot schooner,” he says. Behind the sheds is a small creek where he wet-stores his keel and framing stock. In the main building, one wall is hung with half-models, most carved by Burnham. 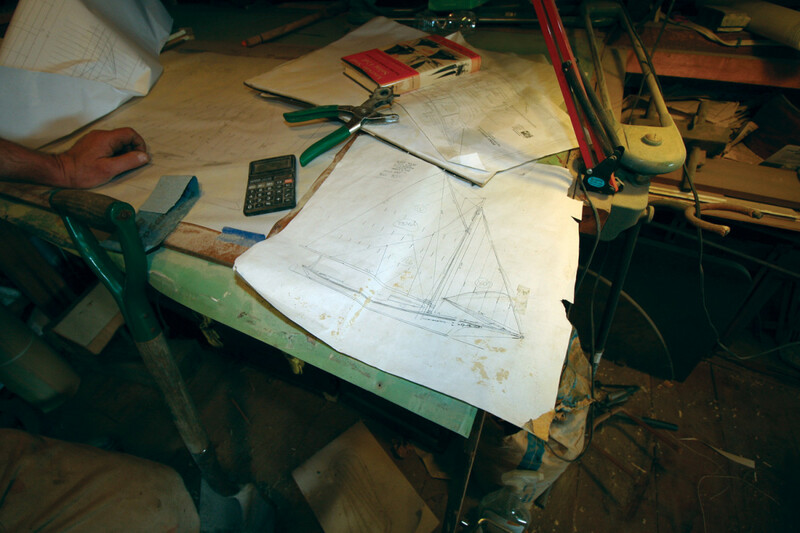 He lofts his designs and sews sails upstairs. 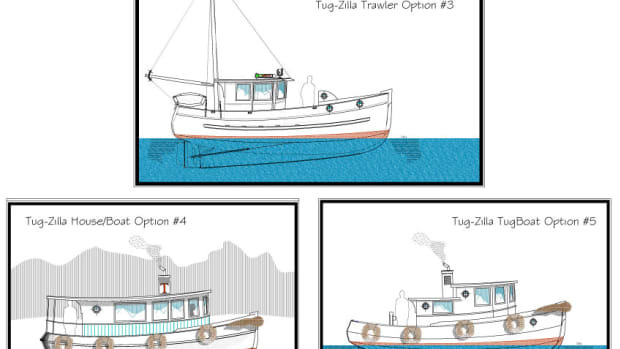 Designing comes from long experience, starting with a half-model, then consulting with a naval architect. 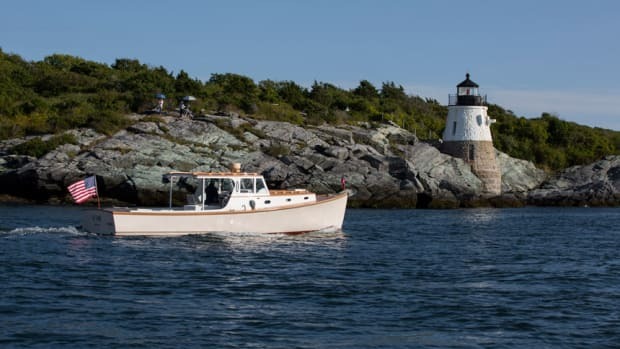 During a recent two-week period, Burnham was prepping the Ardelle, traveling to Maine for the Ernestina-Morrissey, running his yard and getting his scuba certification. He also serves as the shipbuilding museum’s president, works with local schoolchildren and gives talks.